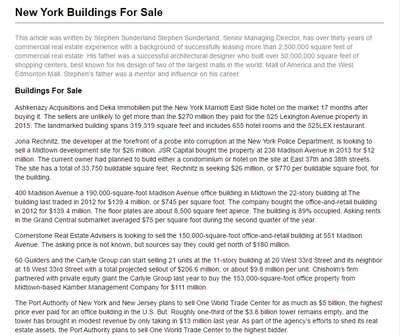 Foreign money is looking to buy Manhattan office and residential buildings by paying prices beyond those that make economic sense for domestic buyers. Retail Landlords are actively seeking pop up stores to replace failed retailers. 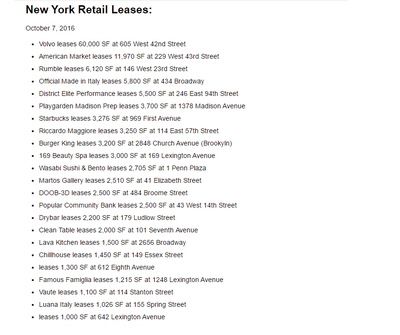 Landlords are still not willing to negotiate with struggling retailers. 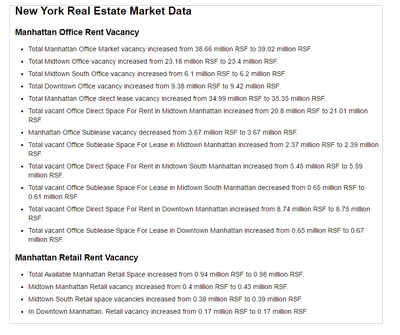 The Manhattan Office market is a tale of two cities. 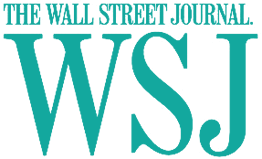 Wall Street and Law firms have gone from net firing to net hiring. 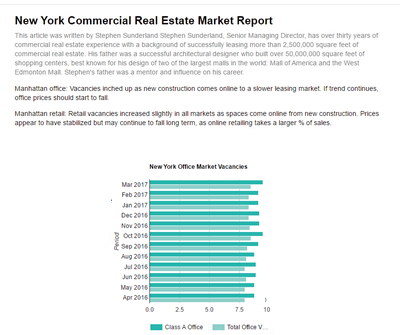 These two employer categories are economic engines for Manhattan and consumers of Class A office space. 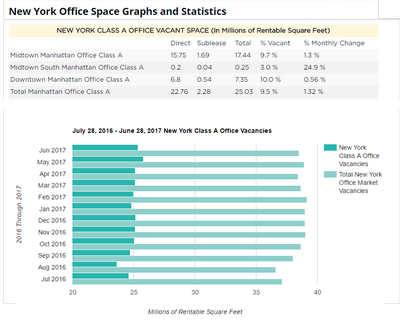 The other side is N.Y. State and N.Y. City governments that are shrinking and existing N.Y. firms are down- sizing on renewals. 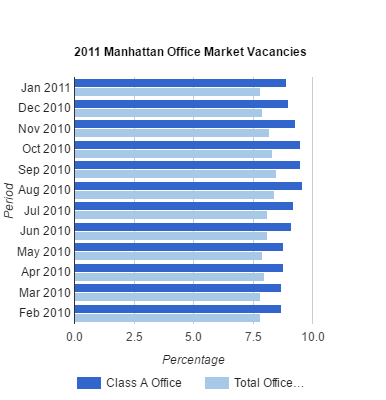 The net result is a continued slight tightening on the Manhattan office market over the next year. Mayor Michael Bloomberg's budget director has ordered a 20 percent reduction in planned spending for the city's 10-year construction plan, due to the struggling economy. It's unclear which projects will be cut, but budget director Mark Page asked the city to identify work that can be postponed or canceled. New York City has, one million square feet too much real estate. We have to look at where we own, where we lease, the air rights and development rights and look broadly to return as much as possible to the private sector. 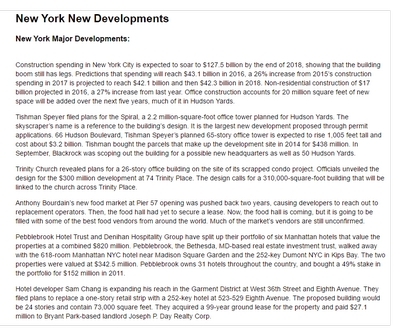 Possible places that can be downsized are the 50 data centers and 100 garages in the city. 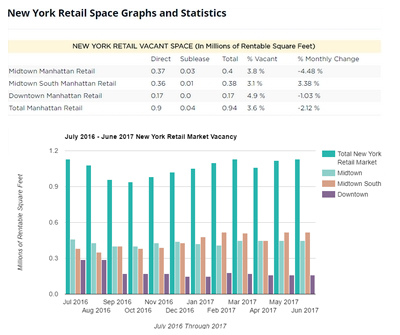 Midtown South pushes Manhattan vacancy rate down. 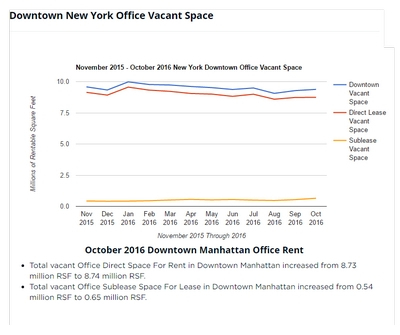 Overall vacancy rates in Manhattan declined in November to 12.3 percent, from 12.4 percent in October. 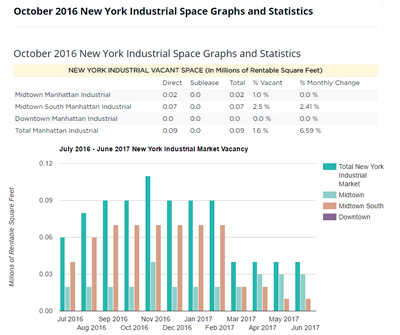 The decrease was largely in part to a number of smaller transactions in the Midtown South market, which saw strength across most of its submarkets, with vacancy rates falling to 12.2 percent from 12.8 percent. The average asking rent in Manhattan saw a small boost last month, rising to $47.57 per square foot, from $47.23 in October. Mortgage delinquencies across the country are expected to decline significantly in 2011 as the economy continues to stabilize. The national mortgage loan delinquencies, the number of borrowers 60 or more days past due, will drop close to 20 percent by the end of 2011 to 4.98 percent, from an expected 6.21 percent at the end of 2010. The projected decrease in 60-day mortgage delinquencies would more than double the 9.87 percent yearly decline that is expected between the end of 2009 and 2010, from 6.89 percent to 6.21 percent. 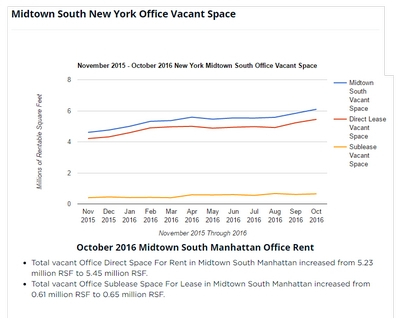 Office tenants in Midtown leased more space in November than in any month since the middle of 2006, as new office leasing rang in at double the monthly average. 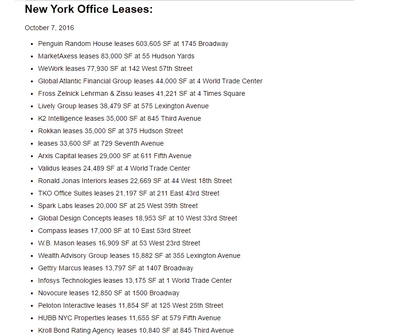 The month's robust leasing activity, the largest single-month total since June 2006, was achieved by deals of all sizes across the entire market. 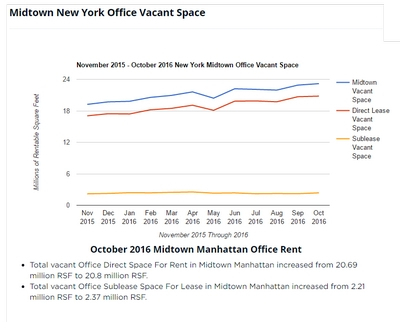 Tenants struck relocation or expansion deals for more than 2.4 million square feet in Midtown, compared with 1.2 million square feet the month before.